You can have gorgeous style in the winter, it’s absolutely attainable. While there are certain trends that go in and out of style each season, there are also key pieces your wardrobe has to have year after year. When it comes to the colder months of winter, the three must-have items on my list are a perfect coat, oversized sweaters, and chunky scarves. What should you look for in these essential winter pieces? See what’s on my style checklist below. 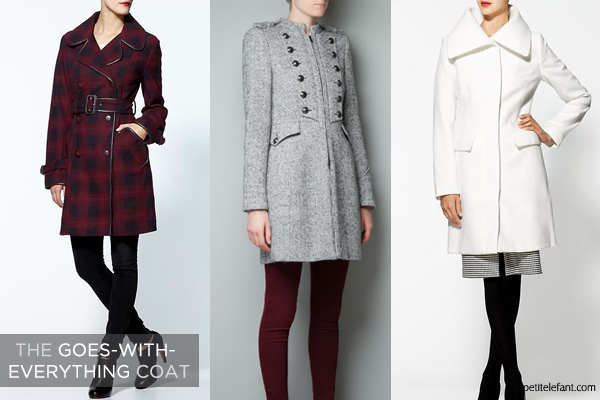 The most essential piece to invest in all winter long is that perfect “goes-with-everything” coat. One that’s not only warm and cozy, but also versatile in color and shape. If you describe your style as timeless, go for a classic trench silhouette. It’s perfect for all occasions and it’s figure flattering. If you like to air more on the trendy side, try something unique like a military cut. As long as you choose a neutral color, the coat will be a great versatile piece to have. And for those of you who like to go bold and chic, try a modern silhouette with an oversized collar. Their minimalist shape will work with any outfit, plus that collar is sure to keep you warm. A must for the colder months is a super cozy, oversized sweater. They’re chic, versatile, plus they’re like wearing a blanket in public, and who wouldn’t like that? Try ones with a slimmer fit to avoid looking bulky. Also opt for more form-fitting bottoms to balance out the oversized top. Have fun with prints, texture, and color. 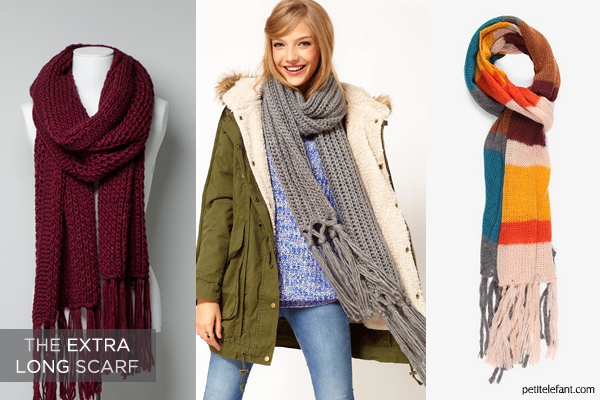 Cable knit is a must have for winter, and brights are trending this season as well. Go bold with a graphic print, like this black and white one below. Just add an easy pair of skinny jeans, and you’re good to go. I can’t leave the house without throwing on a massive scarf. It’s one of my favorite accessories, not only because it’s insanely warm, but it also adds such an effortless touch of style to any look. These extra long ones are my ultimate favorite because you can wear them in so many different ways. Wrap them once, twice, or try this little trick. Throw it over your “goes-with-everything” coat, and you’re set for winter. I have to hold myself back from cold weather clothes shopping because I love it too much! But these three staples definitely have come in handy for me. I wear my scarf and coat everyday now – investment pieces that I think are worth splurging on. Another thing I’ve practically been living in the past few months is an oversized cardigan. I can pair it with a pair of pants and a t-shirt and I’m off.